“If we don’t get education right, all of this forward progress is for nothing,” muses Joelle Formato, 2016 BES Fellow, reflecting on her changing hometown of Buffalo, New York. Buffalo is where Joelle will open Persistence Preparatory Academy, a kindergarten through eighth grade charter school in August 2018. Also opening that month is Buffalo Collegiate, a fourth through twelfth grade charter school helmed by Brian Pawloski, a member of Joelle’s cohort and fellow Buffalo native. An urgent need brings both educators back to their shared hometown: a need for high-expectations education for a rapidly changing city and its underserved community. And while both Brian and Joelle attack this issue with vigor, armed with a love and loyalty for Buffalo, it wasn’t always that way. In fact, both of them set out with the staunch belief that they would never return. Though Brian came from a family of educators (he fondly describes his mother as a “life-long teacher and a very good one at that,”) he planned to be a doctor. Once in school, however, he found pre-med unfulfilling. Only after joining Teamwork for Tomorrow, a mentoring literacy and athletics program at Notre Dame, did Brian’s goals change. Partnered with students from a nearby housing facility, he grew relationships with local families and imparted what he felt was meaningful change. Teamwork for Tomorrow was linked to the Alliance for Catholic Education, or ACE, which brought him far from med school, to Mobile, Alabama, teaching fourth grade and coaching high school basketball. The school didn’t last, but Brian’s devotion to education did. Joelle’s tale is similar: growing up in Buffalo in an “isolated community with a strong public school system,” she was pushed to attend college from day one. It was unsurprising to her and her family that she attended Boston College as a business major with a focus in accounting. What did come as a surprise was her decision to walk away from that, from a stable future and a signed contract with a big firm, and go into teaching. Having excelled in her accounting courses, she found she derived the most joy by stretching her talents and facing down obstacles on service trips. Her second year in Maryland, Joelle met a student, “the most lively, energetic, funny, wonderful student and person… a whiz at math,” who shut down when confronted with a word problem. The math was not an issue, but reading was. Thus began two years of catch-up: tutoring before and after school, in groups and solo, to get him to where he needed to be. 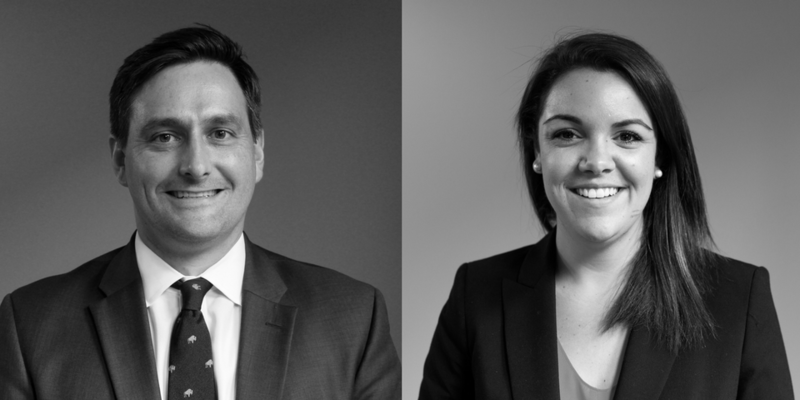 Having been drawn back to Buffalo with a focus on education reform and jobs at charter schools, Brian and Joelle were introduced by a mutual acquaintance, based on their shared interests. This led them to The Fellowship with Building Excellent Schools, where they spent last year building upon their visions for a better Buffalo. And, having achieved this significant feat, both are aware of the pressure, “a healthy pressure and a needed one,” reasons Joelle, and the things the Buffalo community has come to expect from Buffalo Collegiate and Persistence Preparatory Academy. Both Fellows are excited and energized by the work, prepared to make charters that will be the “better” schools for their hometown.